Made of die-cast aluminium parts. With CNC-machined guides and fits. A world of difference. 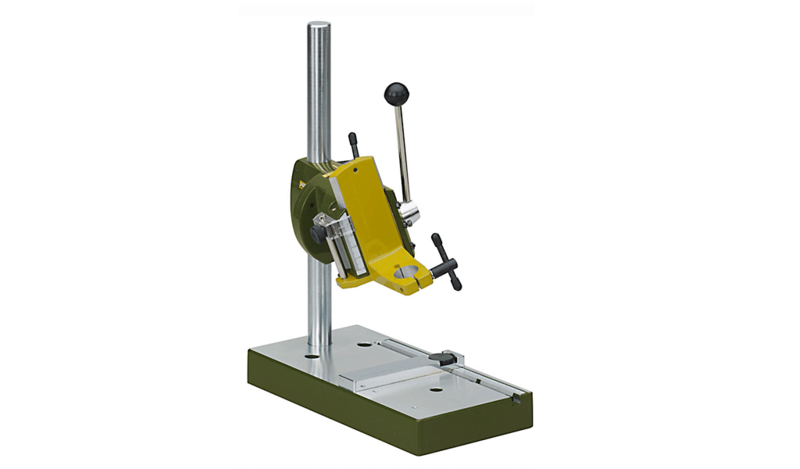 Geared rack and pinion feed with return spring allowing effortless and sensitive operation. 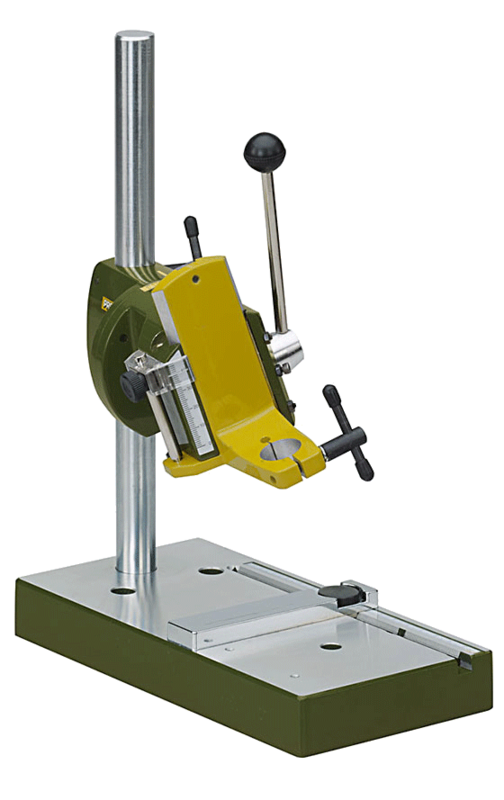 Practical drill depth scale with adjustable limit stop (maximum travel 1 1/2" (40mm)). With standard 4/5" (20mm) collar for MICROMOT drilling and milling devices. With solid, hard chromium-plated steel column 11" x 4/5" (280 x 20mm), throat capacity (column inside to centre of tool) 5 1/2" (140mm). Plane-milled table 8 11/16" x 4 3/4" (220 x 120mm) with parallel limit stop and scale. Drilled, tapped holes for securing the MICRO compound table KT 70 and holes to fix the drill stand itself are also provided. Weight 2.2kg. Die-cast zinc. With three machined sides. The slot fits the adjustable fence of the drill stand MB 140/S and bench drill TBM 115. Horizontal and vertical V-slots in jaw. Jaw width 2" (50mm) and height 2/5" (10mm). Maximum clamping width 1 11/32" (34mm).